Filled in during railroad construction in the 1850's, this stream was originally a ravine known to the Iroquois as "Little Waters", and to early settlers as Vanderbilt Creek. 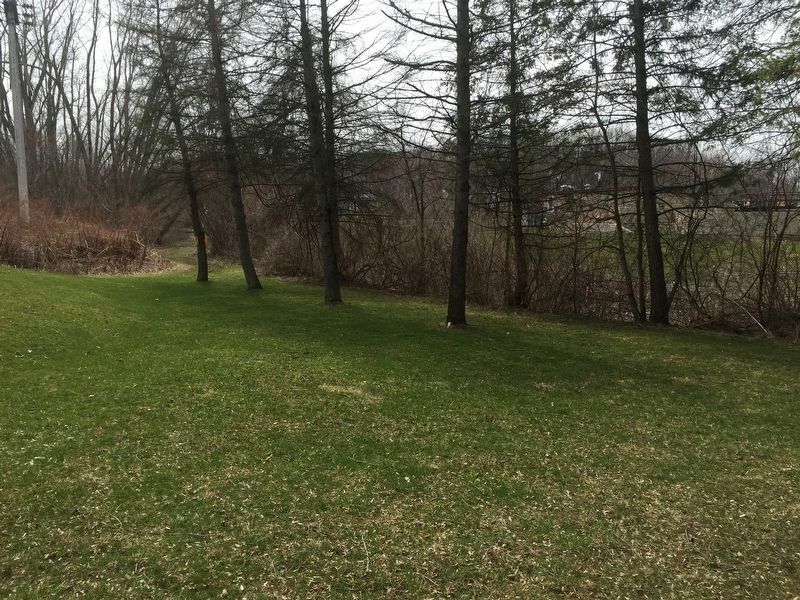 In the 1700's it formed part of the Indian trail between Sodus Bay and the Clyde River. Location. 43° 4.897′ N, 76° 52.016′ W. Marker is near Clyde, New York, in Wayne County. Marker is on New York State Route 31, on the right when traveling east. Touch for map. Marker is in this post office area: Clyde NY 14433, United States of America. Touch for directions. Other nearby markers. At least 8 other markers are within 7 miles of this marker, measured as the crow flies. Replica Blockhouse (a few steps from this marker); Clyde Blockhouse Historical Site (within shouting distance of this marker); Clyde Historical Highlights (approx. ¼ mile away); Roll of Honor (approx. ¼ mile away); The Galen Historical Society Museum (approx. 0.3 miles away); Erie Mansion B&B (approx. 0.4 miles away); Taylor Memorial Park (approx. 6.4 miles away); It is 1880 and You are Riding on a Packet Boat (approx. 6.4 miles away). Touch for a list and map of all markers in Clyde. More. 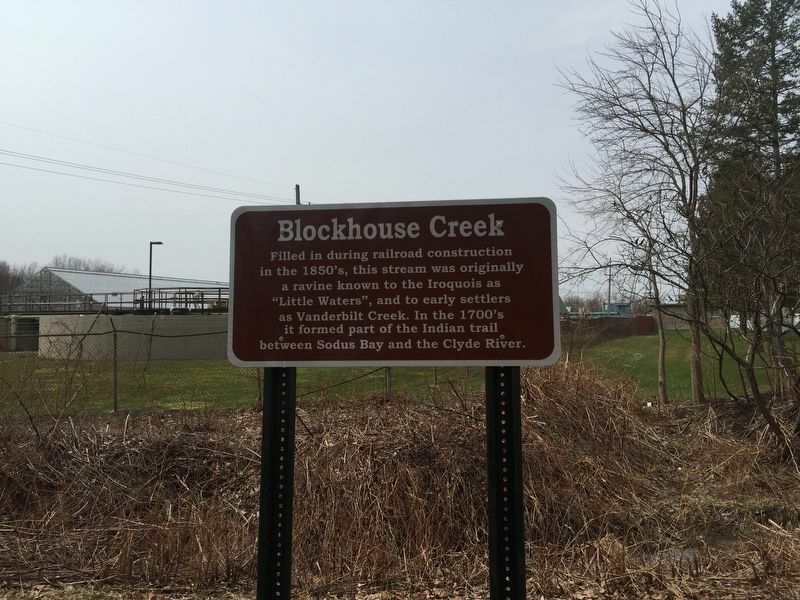 Search the internet for Blockhouse Creek. Credits. This page was last revised on April 10, 2019. This page originally submitted on April 8, 2019, by Steve Stoessel of Niskayuna, New York. This page has been viewed 41 times since then. 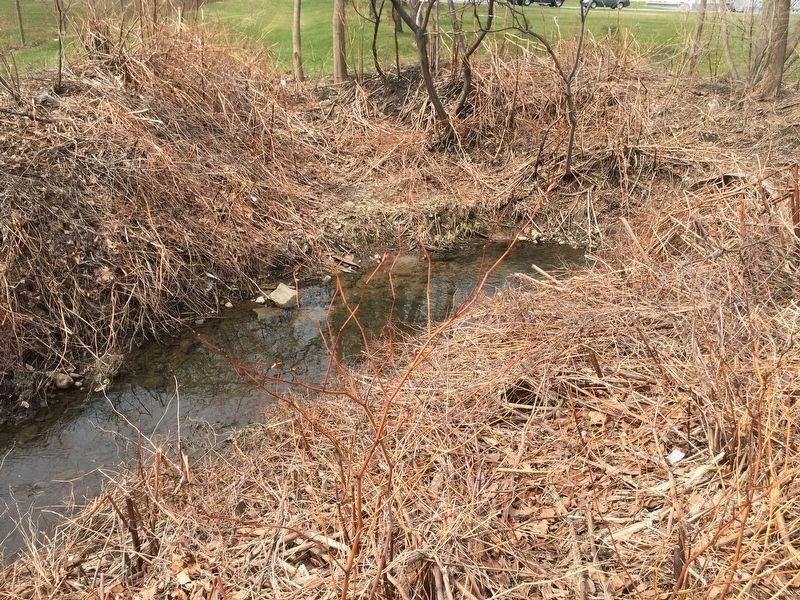 Photos: 1, 2, 3. submitted on April 8, 2019, by Steve Stoessel of Niskayuna, New York. • Andrew Ruppenstein was the editor who published this page.